Chicago's Grand Central Station is one of the city's great railroad terminals, despite the fact that it is sometimes forgotten due to the fact that it was destroyed before Amtrak even began. The station was the smallest such facility in the city, used by the fewest railroads (just a handful served the terminal) although its impressive interior and exterior architecture overshadows these setbacks. 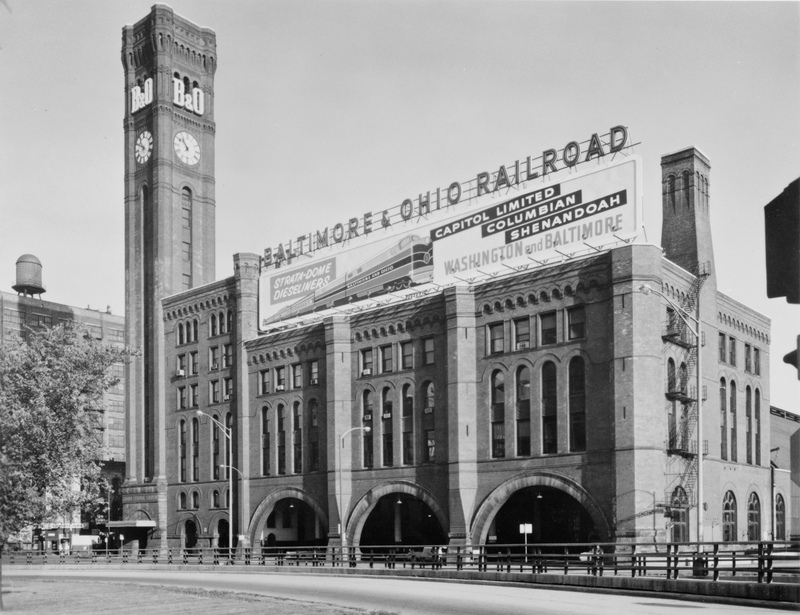 While it was not constructed by the Baltimore & Ohio Railroad it nevertheless became the eastern trunk line's link to Chicago and one its most prominent stations (from a public standpoint). Grand Central was built in the late 19th century and its original owners had lavish plans for the facility until bankruptcy ended such ideas. The terminal never reached its full potential and saddest of all, was razed without much forethought. Perhaps most ironic, in a city of constant development and a population of nearly 3 million, since the building's destruction more than 40 years ago the land on which it was located is still remains mostly empty. The history of Chicago's Grand Central Station (not be confused with the New York Central's original Grand Central Station in New York City) dates back to October of 1889 when the Chicago & Northern Pacific Railroad, then a subsidiary of the Wisconsin Central, itself owned by the Northern Pacific Railway, began construction of a new passenger terminal located along Harrison Street in the city's Southside. At the time, the NP had plans to reach Chicago directly, given the city's importance and wanted a new station to showcase its entrance into the region. 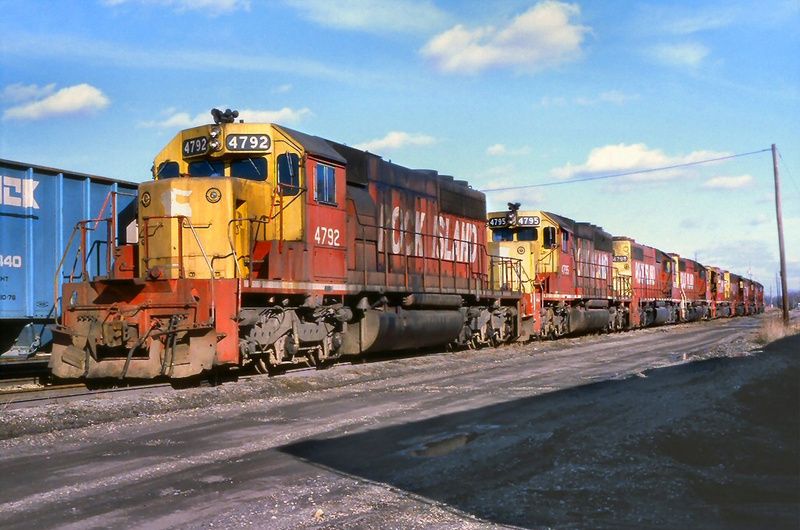 As such, it would not only have provided the railroad with more efficient freight operations but also allowed the NP to move passengers trains over its own rails all of the way into the Windy City. Grand Central Station was designed by architect Solon S. Beman, which built the terminal in the Norman Castellated style. Bemen constructed the building using brownstone and granite although the exterior primarily consisted of red brick. Despite the general materials used it was still a lavish terminal, featuring arches and exterior columns that almost gave it a castle-like look. The building's overall dimensions were 228 feet wide and 482 feet long with more than 110,000 square feet of interior space. 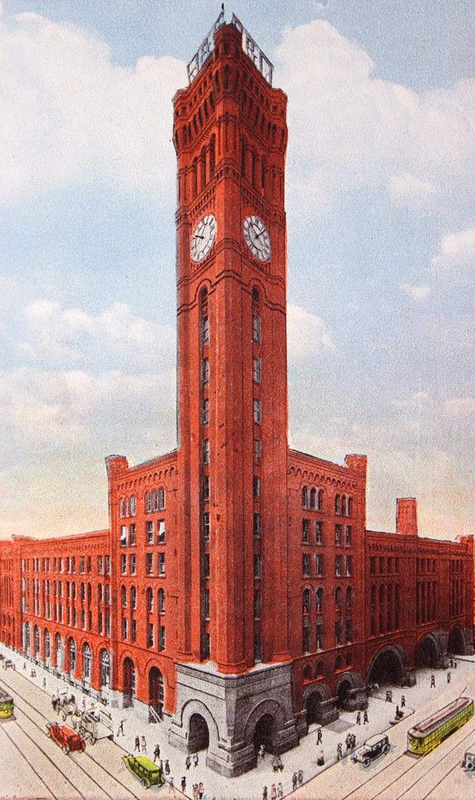 However, the station's most impressive feature was its beautiful 247-foot clock tower whose magnificent timepiece kept accurate time through the end and at during its early years featured a bell, which rang on each hour. From an interior standpoint the station was given equal grandeur. 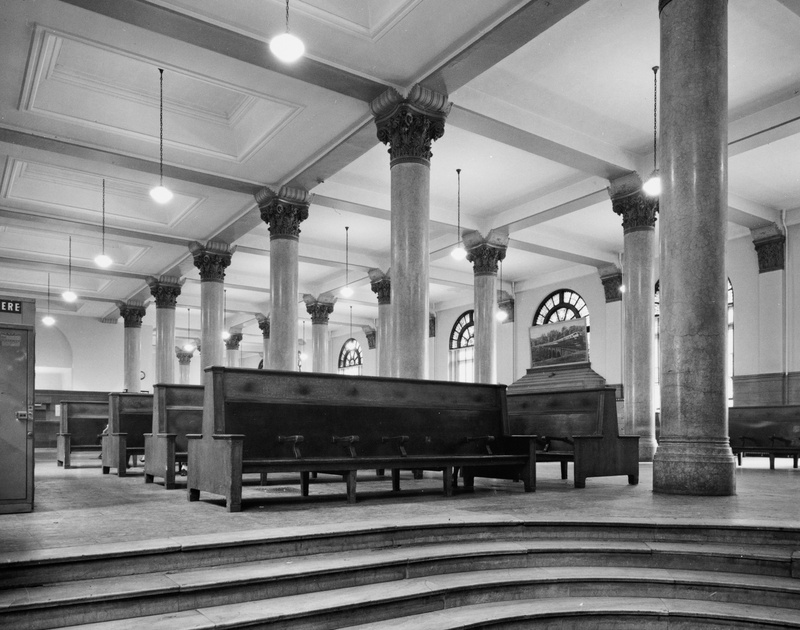 It featured marble floors, a marble fireplace, Corinthian-style columns that stood 26-feet high, stained-glass windows, and elegant high-wood benches. During the terminal's early years of operation it housed a restaurant on the ground floor and an impressive hotel in the above stories. 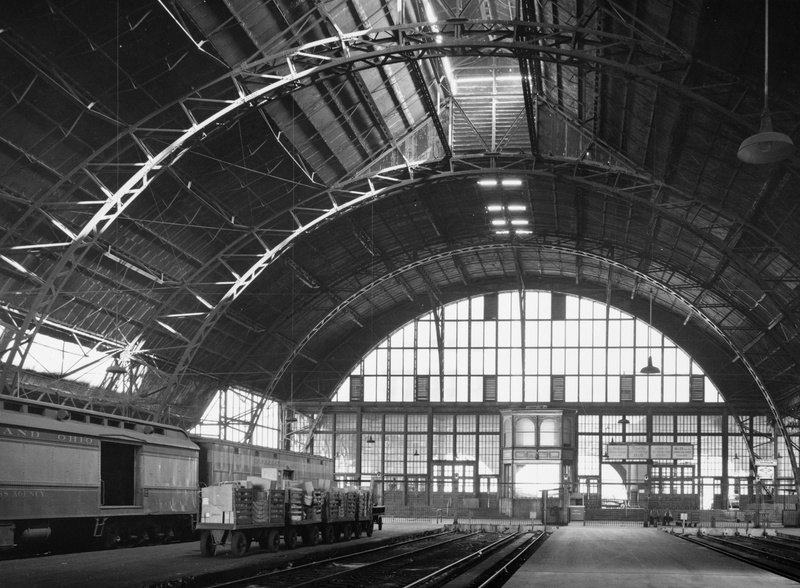 Additionally, the attached train shed was 555 feet long, 156 feet wide, and 78 feet high with much of the structure encased in glass allowing for plenty of light to flow through. Grand Central opened to the general public on December 8, 1890, the second-oldest second-generation passenger terminal in Chicago (the oldest being Dearborn Station constructed in 1883). 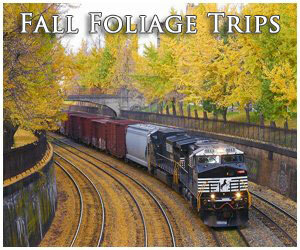 While the Chicago & Northern Pacific ferried Wisconsin Central passenger trains to and from the terminal, Grand Central also played host to trains of the Baltimore & Ohio, Chicago Great Western (via its subsidiary, the Minnesota & Northwestern Railroad) and later the Pere Marquette Railway and Minneapolis, St. Paul & Sault Ste. 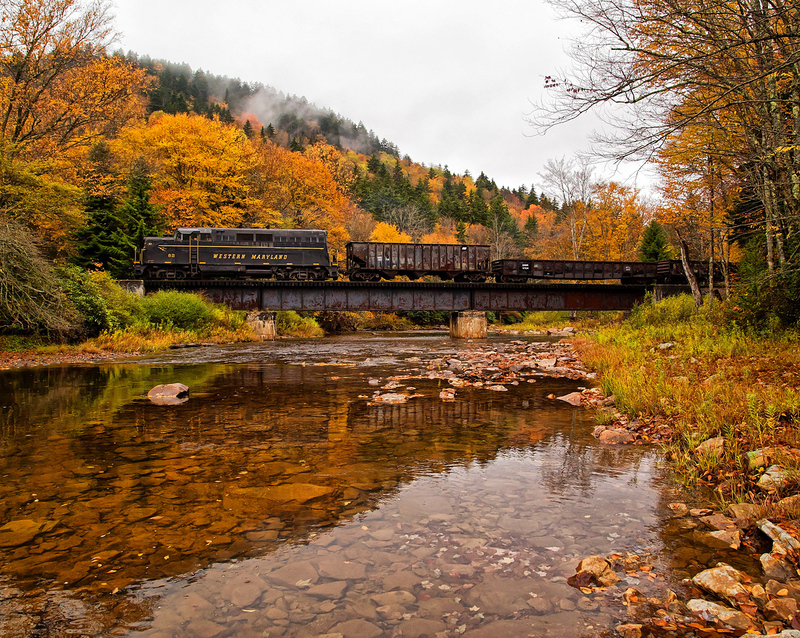 Marie Railway (Soo Line). Unfortunately for the Northern Pacific, the Financial Panic of 1893 forced the railroad into bankruptcy which ended its dreams of a direct route into Chicago. Despite attempts to hold onto to its Chicago area properties, alas Grand Central Station was sold at foreclosure to the B&O in 1910. The eastern trunk line made the station uniquely its own by later adding a neon-lit "B&O" sign in the bell tower, providing for a beautiful photographic setting of trains awaiting departure just outside the train shed with the sign glowing brightly in the background. Additionally, the trackage the railroad gained from the transaction became another part of its Baltimore and Ohio Chicago Terminal Railroad. While the station was architecturally beautiful, with only one major railroad serving the building (the Soo and Chicago Great Western were both regional, Midwestern systems) it was never as busy as the five other major terminals serving the Chicago. 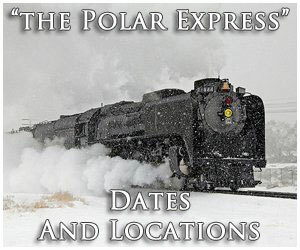 During peak operations from its opening through the 1920s (and later during World War II) the station averaged just 38 trains per day with just under 4,000 daily passengers. In comparison the terminal saw just 10% of Central Station's (owned by Illinois Central) daily trains and was well behind fifth-busiest Dearborn Station's 146 trains-per-day. Still, one could find several storied streamliners calling to Grand Central including the B&O's flagship Capitol Limited as well as other named trains like the Columbian and Shenandoah. 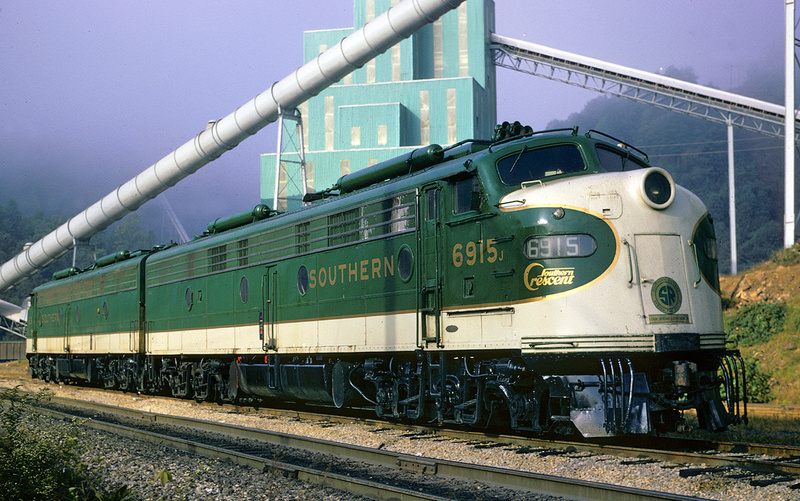 In addition, the Soo Line's Laker could regularly be found at the terminal as could the CGW's Great Western Limited, Legionnaire, and Minnesotan. 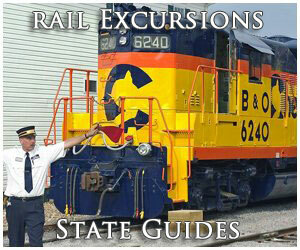 Finally, the Pere Marquette's Grand Rapids Flyer and Grand Rapids Express both called to the station. 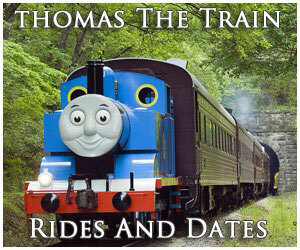 As passenger rail serviced waned following World War II so did business at Grand Central Station. 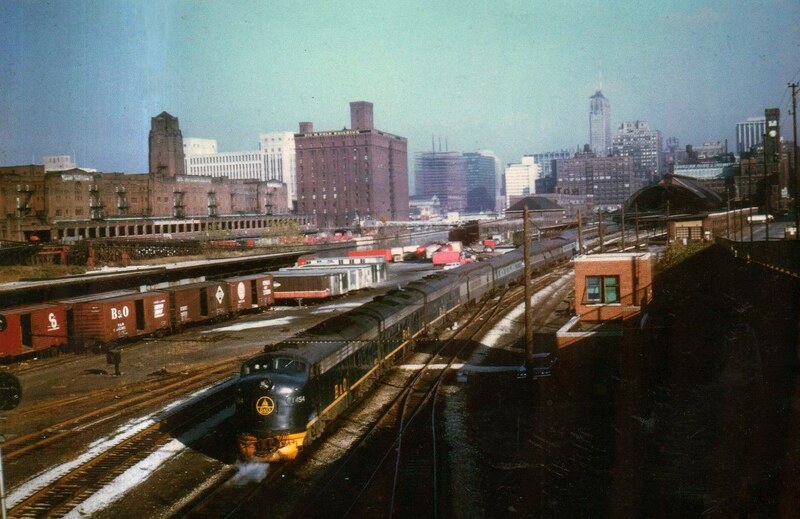 By 1956 the Chicago Great Western stopped using the facility and by the early 1960s only the owner, Baltimore & Ohio remained with the grand station seeing just a paltry 210 passengers daily. To read a bit more about Grand Central and the property's current state please click here. 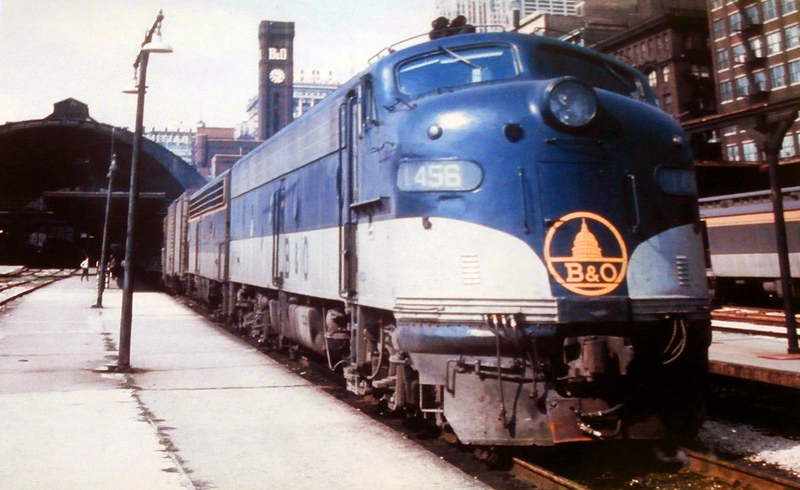 In a surprising move, somewhat uncharacteristic of the B&O (which became known for saving historic structures and equipment), in the early 1970s as the city of Chicago was urging the region's railroads to consolidate facilities in preparation for Amtrak the company elected to raze Grand Central Station to sell the perceived-valuable land beneath it. Amazingly, the ground failed to sell, for decades. It was thought the property would be prime for new condos, apartments, and office buildings but ultimately none of this came to be. The Baltimore & Ohio retained the property through the Chessie System era and later when CSX Transportation was created in 1987. Only in 2008 did the ground finally sell to a real estate agent although virtually the entire property remains a vacant lot today.